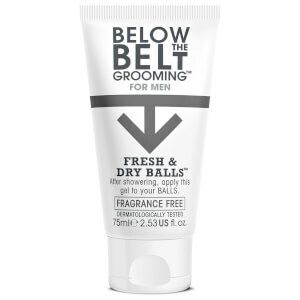 Explore the range of Below The Belt grooming products for men here at Mankind. The Below The Belt range is specifically designed to address the issues men face below the belt. 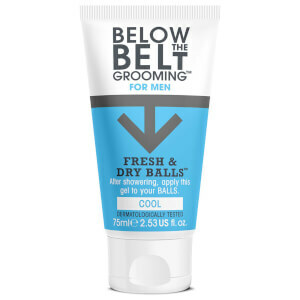 By taking the real needs and daily irritations of men in mind, they created a range of deodorants to keep your balls dry and fresh all day long. The Below The Belt Instant Clean Balls – Fresh is an easy to use spray which immediately refreshes your nether regions when there is no time to shower. Infused with a fresh fragrance, a quick spritz around balls will keep you feeling hygienic and odour free. Dermatologically tested, it provides long lasting freshness so you’ll feel fresh, cleansed and ready to go in seconds. 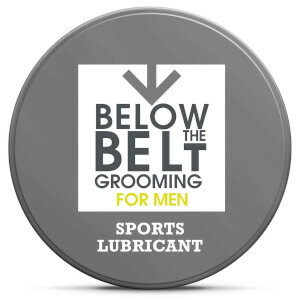 The Below The Belt Sports Lubricant is a protective non-drag lubricant formula which applies smoothly to prevent chafing in the groin area. Great for avid runners, rowers and cyclists, just apply before participating in sports and physical activities for comfortable movement. Calming properties prevent friction and discomfort on the go, the perfect addition to your gym bag that you never knew you needed…until now. The Below The Belt Fresh and Dry Balls is a refreshing groin area deodoriser infused with an icy mint fragrance for a fresh and comfortable feeling, keeping your nether regions dry for hours. Simply apply as a gel and drying into a silky veil, it’s the perfect partner for long haul flights or long shifts in the office.